This time, it was for a door/window and not just a window, which meant a lot more sewing. 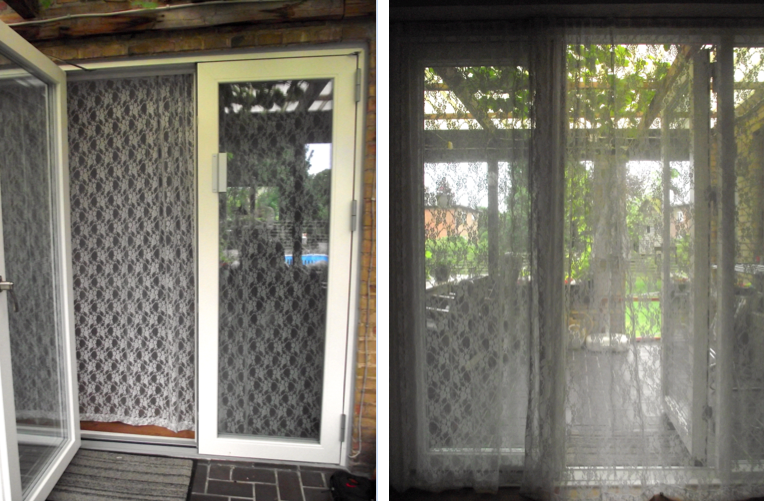 It's a huge curtain, made of a very delicate lace fabric, so it also works as a mosquito curtain. In that way, we can have the door open out to our terrace, where we spend a lot of time in the summer. The store where i bought the lace fabric gave me more fabric than I ordered, and since I also used less fabric than I had expected, there is actually enough left-over fabric, so I can make a little dress out of it. 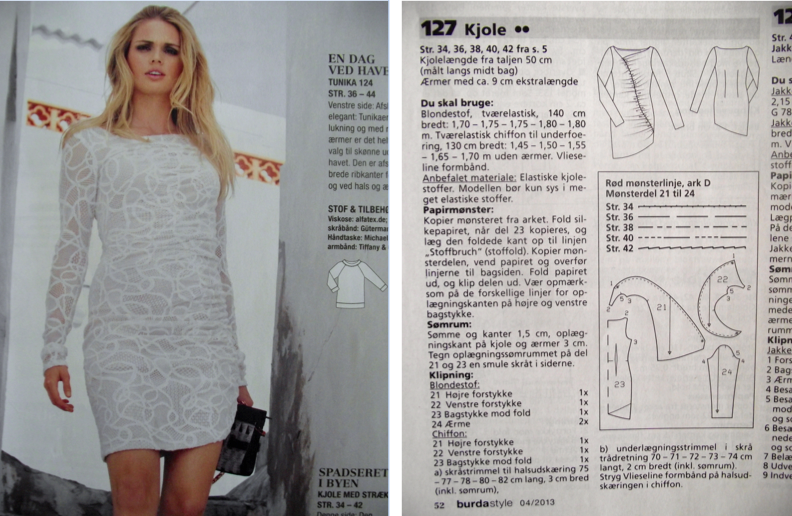 I found this pattern in my old Burda magazines, so that is now one of my up-coming projects!